Venezuelan woman made with wire that is covered with felt. She has a hat made of burlap, and her face is hand painted. She is wearing a cotton print skirt and felt shawl. She has a scarf under her shawl and a purse around her neck. 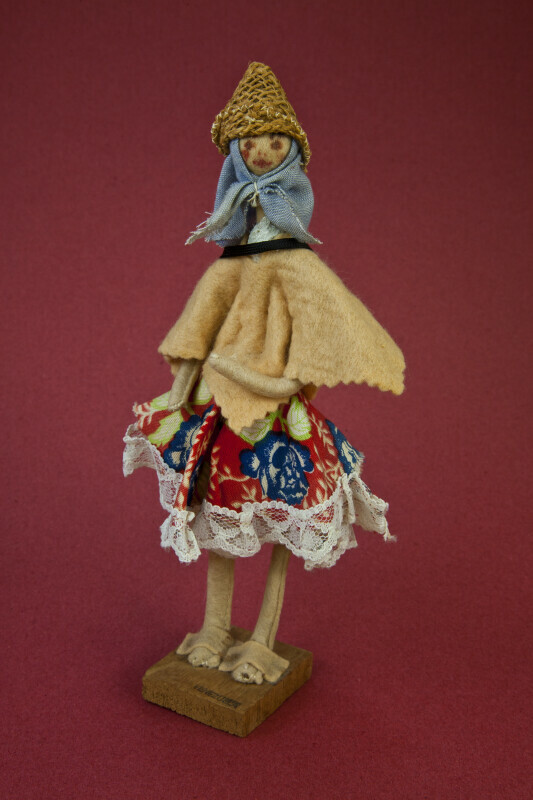 This figure stands 8 inches (20 cm) tall.